Joseph Eugene Hovde, long time resident of Conrad, died suddenly on March 11, 2019. Joe was born June 14, 1979. Joe enjoyed the outdoors, hunting, fishing, and water sports. He loved to work on vehicles, anything to do with motors. Joe loved his family and friends and they all loved him and will miss him. 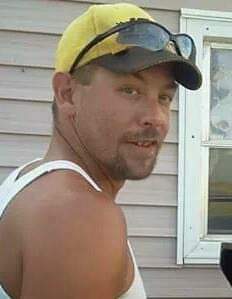 Joe left the love of his life of 18 years, Tassie; sons, Iziac, 15, and Zack, 18; daughter, Aaliyah, 20; one grandson, Devin; mother, Jeannie Tracy of Conrad; sisters, Megan Campbell of Wyoming, Lauretta Stephens of Nevada, and Crystal Lundberg of Boise; and numerous aunts, uncles, and cousins. Memorial services were held Tuesday, March 19, at 1:30PM at Conrad Baptist Church. A potluck at Ed's Tavern will follow the service. Donations to Joe’s Family can be done at Stockman Bank in Conrad.